I’ve lead a pretty eclectic life thus far and grateful for every moment of it. I love meeting new people and enjoy keeping up with old friends. 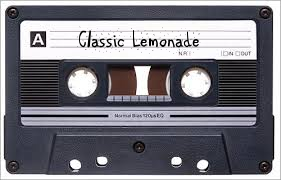 My first recorded song I did for my lemonade stand at the age of 10. I was convinced a catchy tune would bring in those customers… didn’t know how to loop it so just kept rewinding manually (this was the early 80s). I started taking my piano and trumpet lessons a bit more seriously after seeing lemonade sales skyrocket! As I grew as a musician into my teen years, I discovered Gershwin, Ragtime, Oingo Boingo and Punk Rock. In about that order and all contribute to my playing today. I love New Wave music and there’s a great new local radio station to me 103.1 The Wave that I would recommend streaming…. they actually have very engaging DJ’s (Just like the old school and Chet 10am-2pm is king.). Some of my favorites artists are Elvis Costello, Squeeze, Split Enz, They Might Be Giants, Violent Femmes, The Smiths. I studied Jazz at the University of Utah while at the same time playing with several rock/pop bands. I made a name for myself as a freelance bass player as well as fronting bands playing both bass, guitar, and piano. Today I have dived into the world of folk music. Like, the really old stuff from the Netherlands, Gaelic, Welsh music… just a lost art form. In fact, blues/soul/jazz had its roots in Gaelic music, and I love exploring the ol’ timey genre (The O’ Brother Where Art Thou Soundtrack is a huge influence). So I do a lot of my playing in D-tuning, which was popular back then and many of the O’ Brother tracks were done in that tuning. I find most choir and heavy organ/piano arrangements of folk music-based hymns to have absolutely zero feel for how they were originally intended. In my opinion, most music sung in churches today has gotten very stale (In all denominations). 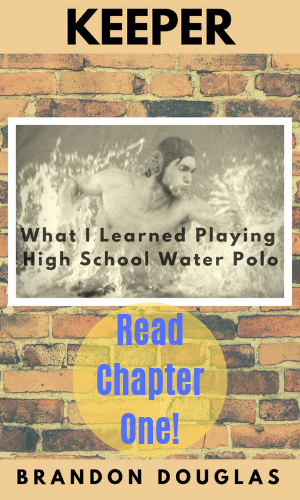 Water Polo was my game and I dedicated a major portion of my early life to it. I also was a starter on the high school basketball team for four years, a high school/collegiate swimmer and a feared little league baseball pitcher. 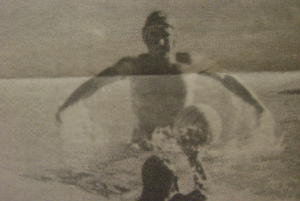 But playing Water Polo was my passion and I had the most talent for. I placed priority and time spent even before music because I realized my playing days were numbered. I had a fun and exciting High School career earning All-American honors my senior year along with several CIF records. Don’t imagine those records are still there today… and don’t care enough to look it up. I was recruited by UC Irvine directly out of High School but went to a Jr. College instead with the idea to get more playing time early on… which proved to be the right move. We won the state championship 2 years in a row and I was named State MVP my sophomore year. This got me a lot of offers from the big boys including UCLA as my biggest recruiter. I made the decision to serve a full-time LDS mission for 2 years and left that offer on the table. On my return, UCLA was all filled up with goalies but would have still taken me but I was not the same player. UC Irvine still was recruiting me hard after I had a tryout with an Anteater alumni Mike Evans that had recently retired from the Olympic team. He told them he couldn’t score on me so I got even more heat from Irvine… even though I felt completely finished mentally. So I played club ball and never ventured into the NCAA’s although my Huntington Beach-based Jr. College team played plenty against the big boys and we always held our own taking some big victories. So I set my focus on music and I had met my soon-to-be wife Jenny at that time so spending my life in the pool non-stop for another 2 years was not attractive to me. But I love the memories to this day and miss it. Of course, even wrote a book about it. Today I swim, surf, run and lift weights pretty regularly. My body loves a good workout after spending years involved with such a demanding sport. If you are looking to do any type of business with me I apologize you have to scroll all the way down the page… but it’s really not my first priority in life. Exactly what you want to hear from a potential partner right!!?? Well… the good news is I’m not lazy. In fact, the fusion of sports discipline along with music artistry makes me a pretty in-demand online marketer. So I turn down most projects offered to me. I prefer to spend my working energy towards businesses and products that I can get paid residually on. I specialize in lead-generation and qualifying prospects through years of copywriting in the natural health verticals. I follow Ryan Deiss of DigitalMarketer.com and attend his events. I have many years dedicated to international business and find the demand overseas for quality nutrition is far greater than here in the states. We like to go to the doctor and take whatever pharma meds they suggest. I am not completely against our medical model… but it sure has it’s problems. Especially in preventative medicine, all they know how to do is react. In the past, they were completely not schooled in natural health, but I see that dramatically changing. Many are embracing the Dr. Mercola’s and Dr. Axe’s of the world and there is a more balanced approach to medicine than just prescribing pills. …as well as experiences with darker sources. So I had no problem accepting there was a God, and there are those that work against Him. As I attempted to grow closer to God I unknowingly had some belief systems that needed detangling. Which took me down a rabbit hole I didn’t expect to be falling down!! But gave me a profound experience in discerning counterfeits posing as benevolence. For example, as a kid, I thought the Song of Solomon was just some perverted, non-prophetic text that had no business being in the King James Bible. But look at this translation called The Passion Translation of Song of Songs 2:14-15. Just beautiful. This resonates with me and makes far more sense as to why it would be included. I can’t say that I disagree with him. There are 33,000 different denominations all quick to castigate and bring down one another, the idea of being of one body (like the early church) is long past. A constant argument about who is right, who has the proper authority, and the all-important question of which denomination serves the best after-service chicken salad (I give it to the Mormons on this one). Although done in a mocking tone, he clearly points out what the life and purpose of an early Christian were. Yes, I believe we are brothers, he can mock me all he wants but Zeus fails to compare to the Lord of Lords. So I believe that God has both the black negative wires plugged in (judgment, repentance, etc.) as well as the red positive terminals plugged in (grace, love, patience, etc.) that is required to make the battery run; He plays by His own rules established during creation. I think we can put a lot of the pieces together in this more primitive state we call earth life, we’re almost like Thor having been cast down to this planet (without his powers) in order to take in a lesson papa was trying to teach. I do think we have a long way to go in learning what we have to learn down here… most do not quite understand the Love Covenant (I am constantly falling short). Gandhi had an interesting answer when he was asked to pontificate why exactly he thought Christianity would never fly in India. He simply answered: “Christians”. I have a lot of friends involved with what many call “The New Age” (Very much believers in the supernatural and they are of the devil, kidding). These people have some of the best hearts I know… truly giving, genuine people (although I do not participate in any of their meditation practices, etc). I love my time spent with them and am grateful that they enjoy my company as well. They are constantly amazed that I am a believer in Jesus Christ because I don’t march to the same beat they recognize as the norm in the church. I blame this lack of the Love Covenant in our collective walk on what some term: “Churchianity”. (There are other factors as well… consider “Trumpianity” as a strong example). Religion and belief systems are a touchy subject, I get that. I do not seek to offend anyone (I also have no interest in starting the 30,001st denomination) but sometimes the truth hurts and needs to be said: we are not what we once were centuries ago. However, there are many individuals that I resonate with ranging from Baptist preachers to LDS bishops, and yes, even my New Age friends that have some vital pieces of the puzzle figured out. Many are my closest friends and people I love and admire… even if we have differing opinions, I still have much I can learn from them. So that’s me in a nutshell. Wow… big nutshell (but I’m long-winded). I genuinely love meeting new people… so please if you have any questions, comments, or inquiries don’t hesitate to hit me up on Messenger! I love corresponding on a one-to-one basis.